The decision of the chief ministers of West Bengal, Andhra Pradesh, Karnataka and Kerala to hold a press conference on Saturday on the standoff between the Delhi government and Lieutenant Governor Anil Baijal has given federalism new significance. Arvind Kejriwal, along with three other Delhi ministers, protesting at the L-G's office. PTI. Delhi chief minister Arvind Kejriwal and his ministers have been on a sit-in protest at Baijal's office since 11 June. They have been demanding that Baijal meet them, ask Indian Administrative Services (IAS) officers of Delhi to call off their strike and implement the government's initiative of delivering rations at the doorsteps of beneficiaries. Saturday's late night press conference should come as a reminder of what happened in Andhra Pradesh in July-August 1984: And how it became a lightning rod to mobilise regional outfits. The then chief minister NT Rama Rao (NTR), who was hugely popular in his state, had gone to the United States to undergo an open heart surgery. His absence prompted former prime minister Indira Gandhi to script his downfall: NRT’s Telugu Desam Party (TDP) was split, after which his finance minister N Bhaskara Rao staked claim to majority support in the party and was sworn-in as chief minister by a pliable governor, Ramlal. The coup happened on 15 August, India’s Independence Day, and the irony was not lost on people. On his return to India, NTR disputed the governor's decision and marched his MLAs to Raj Bhavan to demonstrate that he had majority support. For one long month, he ferreted away his MLAs to a hideout to ensure that they were not poached. This inspired Opposition parties, including the Bharatiya Janata Party (BJP), to rally behind NTR on the principle of federalism. Indira then caved, governor Ramlal was removed, and NTR was back in the chief minister's chair. A month or so later, Indira was assassinated. In the 1984 Lok Sabha elections, the Congress swept much of India, but the TDP triumphed in Andhra Pradesh, winning 30 of the 42 seats. For the first time in India's electoral history, a regional party became the principal Opposition party in the Lok Sabha. From thereon, regional outfits tended to unite against the Centre's attempts to overthrow any of them and subvert the principle of federalism. It is also why they have continued to play a vital role in the formation of government at the Centre: A trend reversed only in 2014, when the BJP under Prime Minister Narendra Modi acquired a majority of its own. Since then, the BJP government at the Centre has flexed its muscles the way the Congress under Indira did before 1984, stoking concerns among regional outfits that the principle of federalism stands imperiled all over again. They have veered to the view that the stronger the Modi government becomes, the greater the threat to their autonomy and survival. Of this, the prime example is the Aam Aadmi Party (AAP) government's experience in Delhi. It was denied control over bureaucracy through the Ministry of Home Affairs' notification dated 21 May, 2015. Once the Delhi High Court ruled in 2016 that the lieutenant governor is not bound by the aid and advice of the elected government in Delhi and its chief minister, Baijal delayed several AAP projects on the flimsiest of grounds. 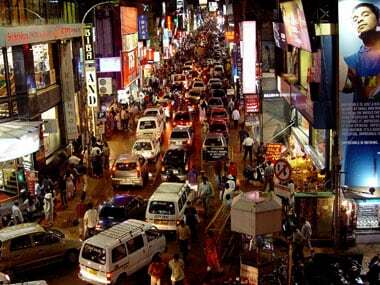 There can be little doubt that in many ways, the popular will of the citizens of Delhi has been subverted. 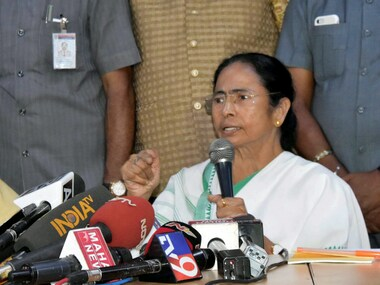 Mamata Banerjee at the 16 June press conference in Delhi. PTI. It is this backdrop that frames the decision of the four chief ministers to support AAP in its fights against the lieutenant governor and, by extension, the Modi government. It has ended the isolation of Kejriwal, whose decision to sit in protest has brought to the fore the principle of federalism, which is not only of existential importance to the four chief ministers but has also given them a campaign point against the BJP for the 2019 Lok Sabha elections. Regional outfits will be available to argue before the people in their states that they must not vote for a national party as such a choice will be detrimental to their interests. In other words, Delhi’s centralising tendencies will be portrayed as inimical to both democracy and the people. This is precisely why West Bengal chief minister Mamata Banerjee said that the lieutenant governor's high-handed approach to the AAP government is "bad" for Delhi's two-crore population: It prevents Kejriwal and his ministers from working for their relief and providing good governance. She also said that it is scandalous to see the confrontation between the state and Centre happen in Delhi. Imagine what might happen in states far away the national media's gaze, Banerjee seemed to suggest through the joint press conference on Saturday. She was effectively signalling to the people in West Bengal that their fate could well be similar to that of Delhi residents if the Modi government's ambition to expand its footprints across the country is not thwarted. No doubt, it is easy for the four chief ministers to support Kejriwal because AAP's support base does not overlap with those of their own parties. In all the four states — Kerala, Andhra Pradesh, West Bengal and Karnataka — AAP is not a political factor yet. At the same time, Kejriwal's protest has provided them an identifiable reason to crib against the Centre's centralising tendencies, which is precisely the lethal ammunition that NTR's campaign provided the Opposition in the 1980s. As in 1984, the Opposition's complaint is no longer just theoretical or out of pique. It provides them substance, an example to cite. This list of chief ministers supporting AAP is confined to four only because the BJP or its allies rule many states. Yet, several regional outfits not in power will soon find it prudent to officially support Kejriwal. The Sorens – former chief ministers Hemant and Shibu — have signalled their support to AAP from Jharkhand. So should, in all probability, Samajwadi Party president Akhilesh Yadav, who is smarting under the BJP government's charge that he damaged his official bungalow before vacating it on court orders. This also applies to Rashtriya Janata Dal leader Tejashwi Yadav, whose father Lalu Prasad Yadav and his siblings were raided before Bihar chief minister Nitish Kumar defected to the BJP from the grand alliance. Among the four chief ministers, the presence of Karnataka's HD Kumaraswamy at the late night press conference on Saturday was most surprising. 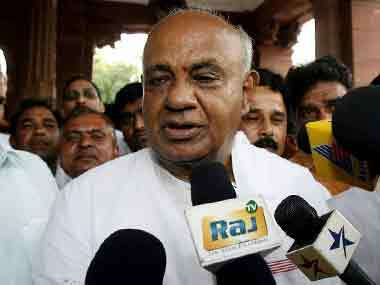 After all, Kumaraswamy heads a government of which the Congress is a partner. 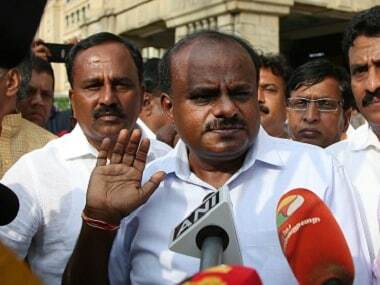 Although boasting a higher number of MLAs, the Congress gave Kumaraswamy the post of chief minister as well as the finance portfolio. His support for the AAP shows that he does not support the Congress' stand that Kejriwal should not be assisted in his fight against the Centre. His choice also underscores the perception problem the Congress faces. This is because the decision of the Congress to criticise Kejriwal and his dharna belies the claim of party president Rahul Gandhi that he upholds the idea of federalism. It is one thing for the Congress to support federalism only when it is illegitimately denied a first shy at power, as it happened in Goa and Karnataka. Indeed, Gandhi's support for federalism could have acquired a deeper meaning if he had been seen supporting Kejriwal even at the expense of his party's interests. Really, it was not much of a price for the Congress to pay. Delhi has seven parliamentary seats, a number which cannot spectacularly enhance its tally at the national level. More significantly, a triangular contest in Delhi will be to the BJP's advantage. To get seven seats, the Congress may end up getting nothing, given the overlapping of its support base with that of the AAP to a degree. File image of Karnataka chief minister HD Kumaraswamy. AP. The Congress does not want to support Kejriwal also because of the structural problem it faces: It is a national party that has footprints in every state, including Delhi. It is bound to become weaker nationally if it were to forego its ambitions in states. It is consequently argued that the Congress must walk the tightrope — align with regional outfits in states where it has more or less disappeared, as in Uttar Pradesh and Bihar — and simultaneously capture power in states that have a two-party competition and obliterate at least one party —AAP in Delhi — where the electoral competition is three-cornered. This structural logic of the Congress, unspoken though it is, persuaded Kumaraswamy to support Kejriwal. 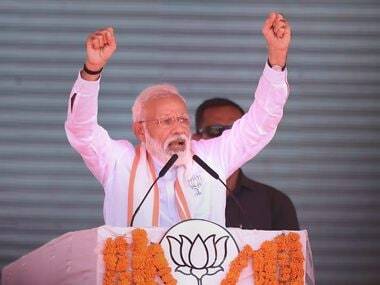 He knows the Congress will try to oust him after the 2019 general elections, regardless of whether the BJP is dislodged from power. This is also what the Yadavs of Uttar Pradesh and Bihar and the Sorens in Jharkhand know, as well: The Congress, like the BJP, will have no qualms in weakening them once it begins to revive. Such doubts about the intent of the Congress will only get reinforced because of its refusal to support AAP in its fight against the Centre, apart from showing that its idea of federalism is based on expediency, not principle. This is what the press conference of four chief ministers has tellingly underscored.